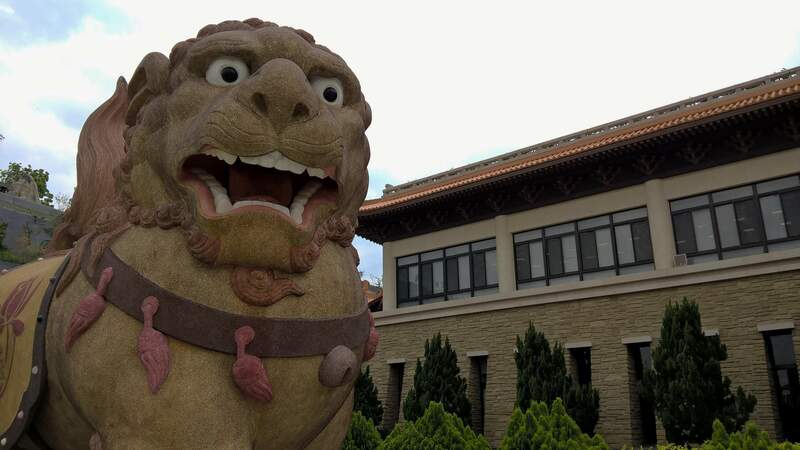 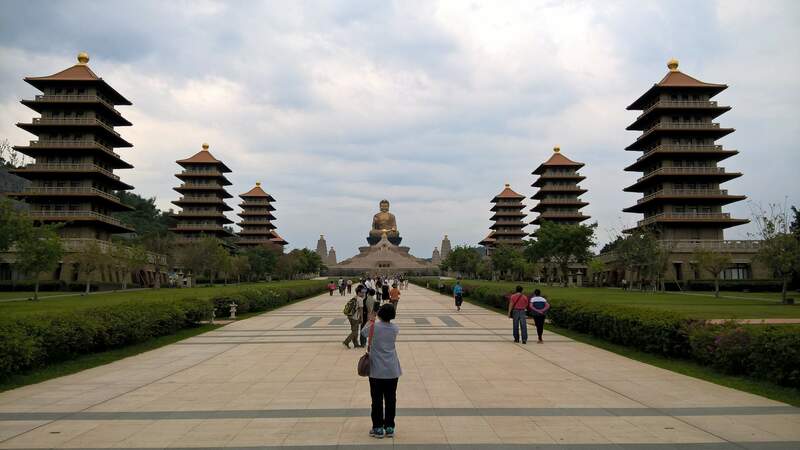 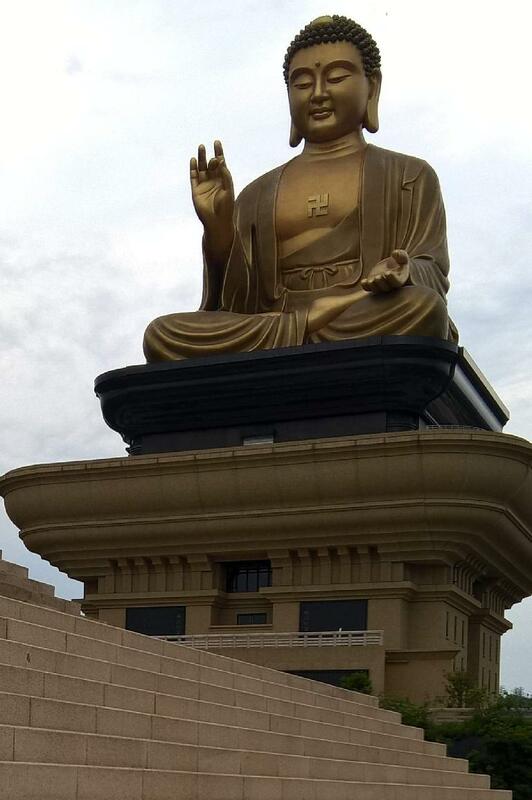 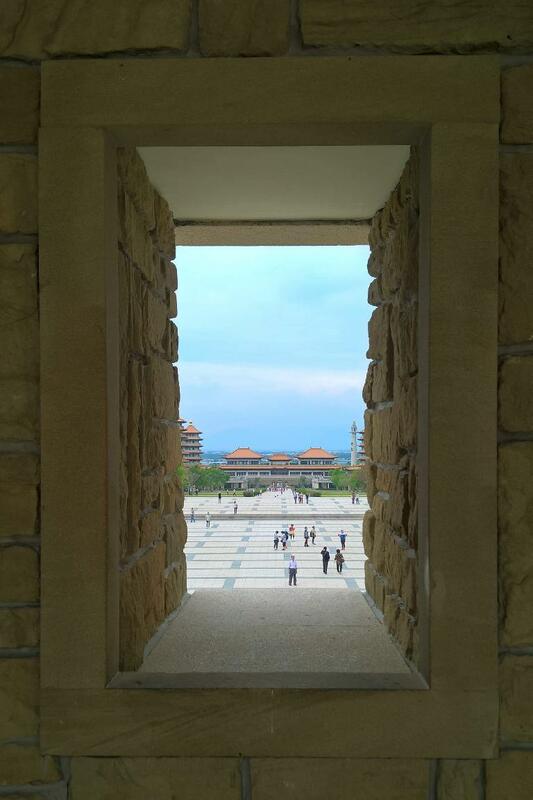 From Tainan City, our tour group headed over to the Fo Guang Shan Buddha Memorial Center in Kaohsiung City. 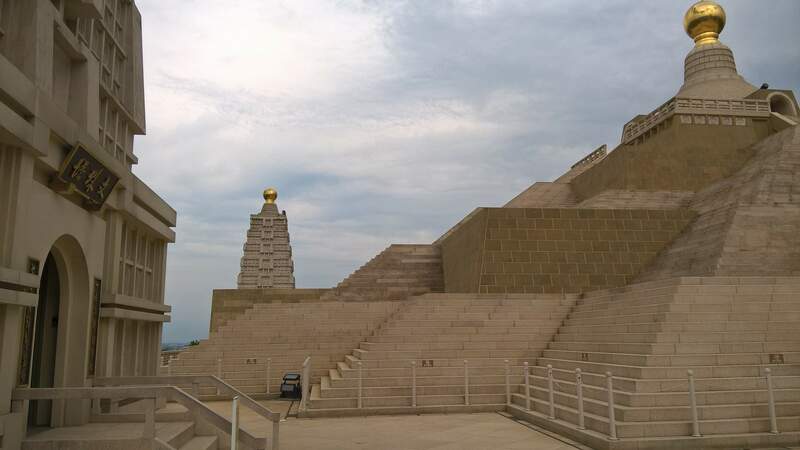 It was built from 2008-2011. 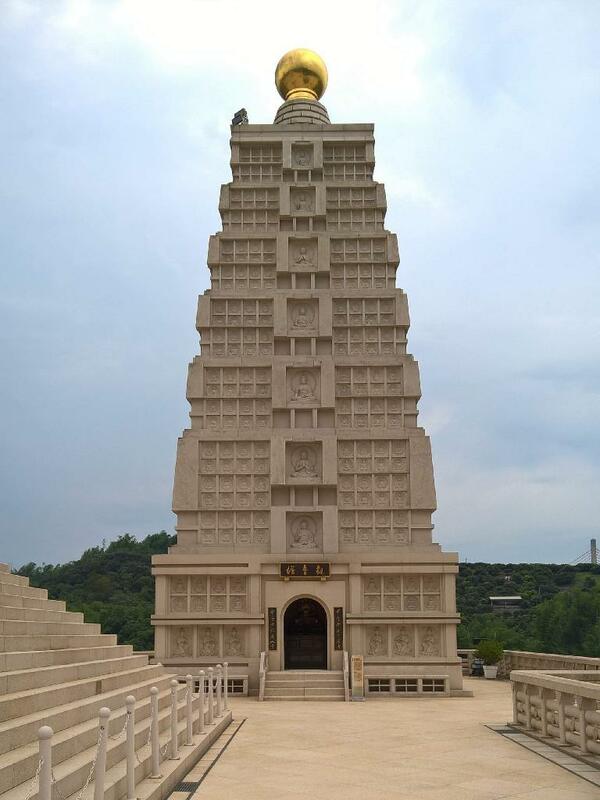 Supposedly, it houses one of the tooth relics of the Buddhist faith founder. 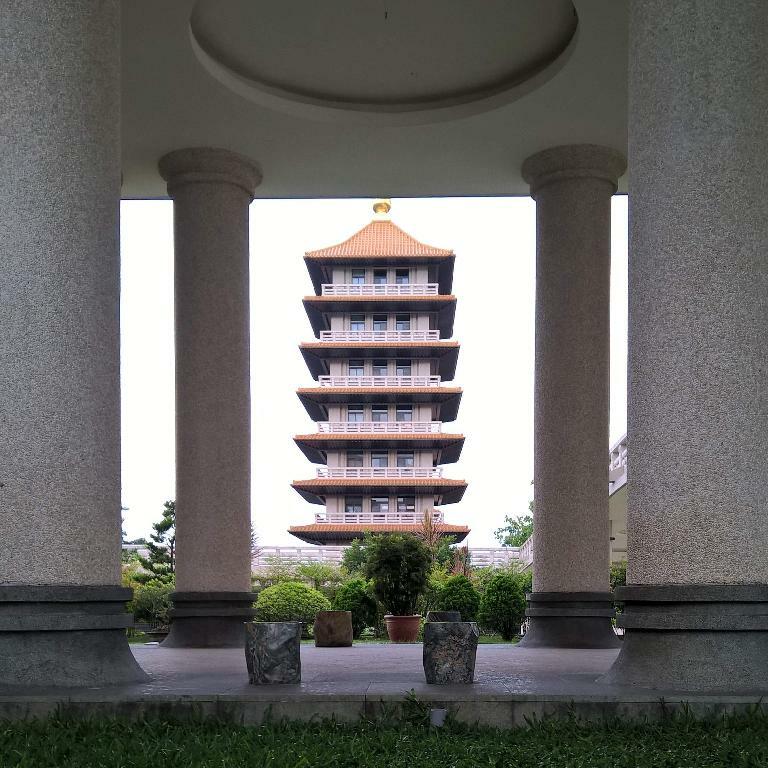 In fact, this was the primary reason this center was built—to have a stupa where the public could pay their respects and make offerings to the tooth relic. The relic was formerly under the care of a Tibetan lama and donated to Hsing Yun since he had the means to build the stupa. 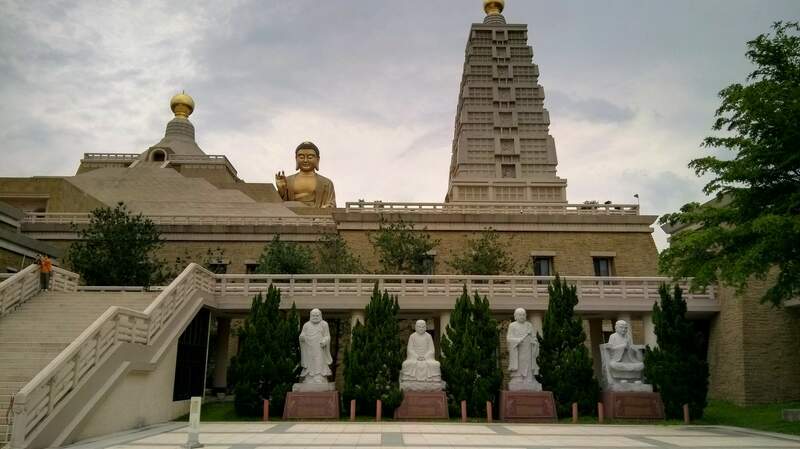 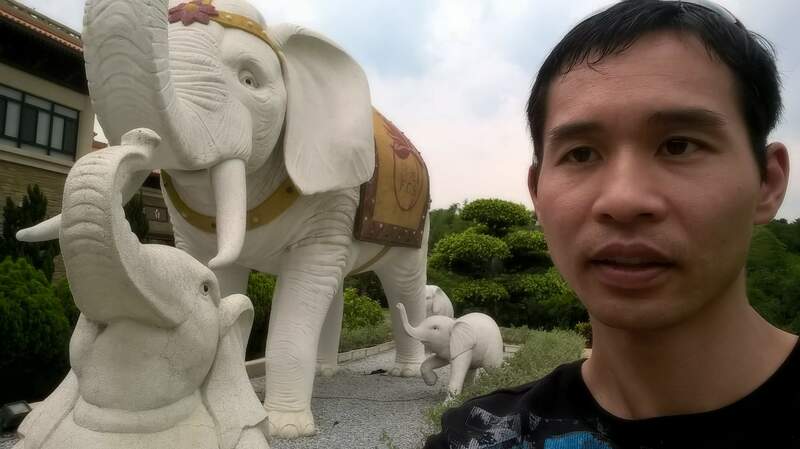 The Buddha Memoria Center was built with support from the government and includes eight pagodas, four stupas, the Fo Guang Buddha, and a welcoming hall. As you can see from the photos, it is a pretty amazing place.